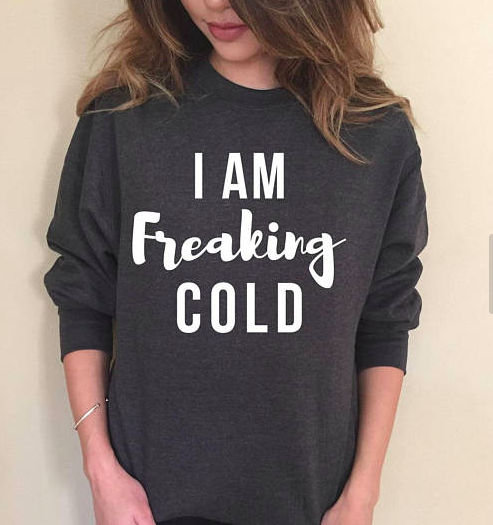 Who is going to buy this I am Freaking Cold sweatshirt on Easy for me? Is this not so appropriate if you’re on the East Coast right now? It’s currently 15 degrees in Philadelphia! How warm is it near you?